Here are step by step instructions on how to reset your password for the Partner Network and AKP data apps. The screen samples shown below are only graphics, to show you what the screens will look like as you move through the actual reset process. 1. 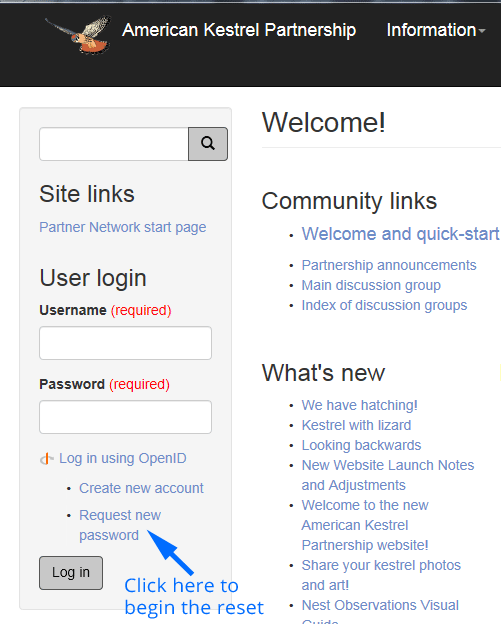 Request a password reset by clicking the "Request new password" link on any page of the Partner Network, or CLICK HERE. To proceed, you must click the long link in the middle of the email, shown in blue above. 4. Use the one-time login button. Click the Log in button to go to the form where you can set your password. 5. 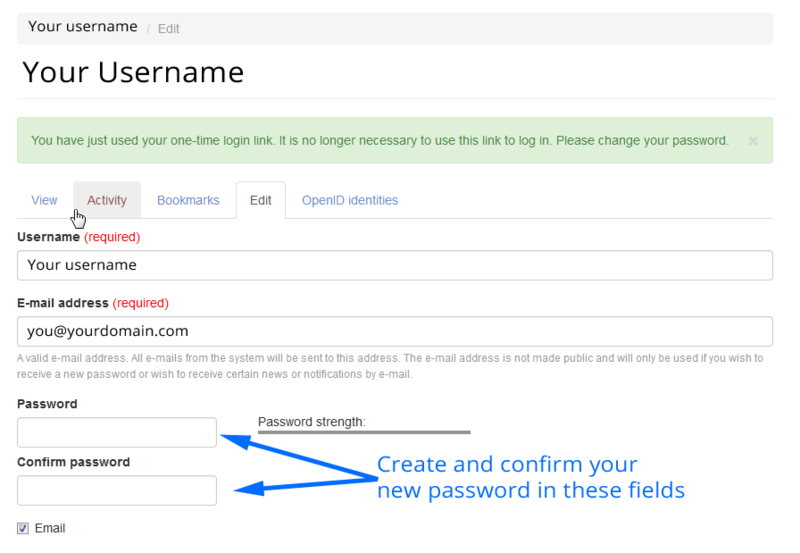 Fill in the provided fields to set and confirm your new password. 6. Make sure you enter your new password the same in both fields, or it will be rejected. 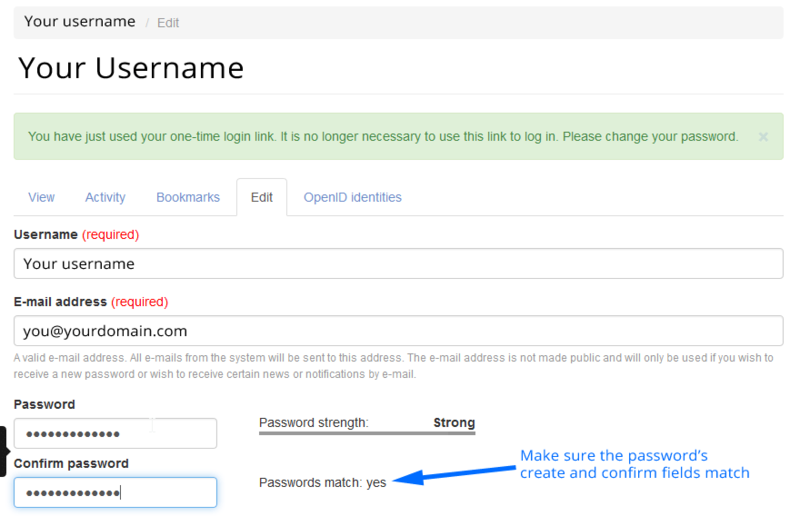 Look for the "Passwords match:" indicator to the right of the confirmation field. 7. Scroll to the bottom of the page and click the blue Save button. Posted in General Discussion by Administrator - The Peregrine Fund 4 years 11 months ago.